Kif Chan is Asia's leading card magician operation and close range, often employed in various institutions and private dinner parties. Operation practices as licensing experts and performers, Kif five hours every day practicing with each of his performance and training, while consumption of more than 300 cards. He's into making his poker and magic arts to reach a new perfection, also won a great reputation. 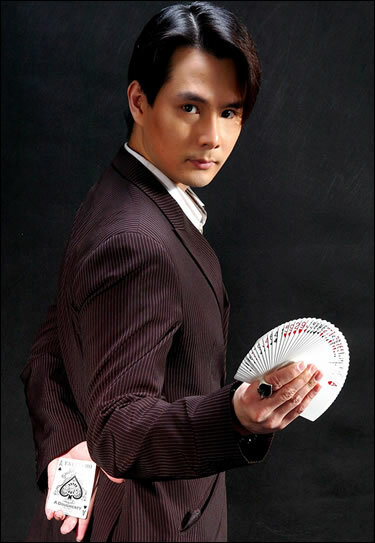 Kif to Las Vegas-style magic and card operation and the close-range sound reputation, is among a small number of magic into the world-class Chinese in Hong Kong and Asia magician. His magic mostly original works, unique and entertaining take personally read and found out fun. In addition to entertainment performances, Kif is the only study in Asia precision clever swindler (Con games) people. 1000 Council (Con games) is a crime, because these traps will be pragmatic and cheat your money. Kif is the only Asian model have the ability to obtain property by deception of the people old 1000, 1000 surgery is not magic is real, this may be your old life, only to witness how the removal of thousands of money in your pocket a unique opportunity ! An excellent card magician from his grasp a very simple gesture seen card magic skill realm, like warriors play against, opponents observed the existence of flaws, and Kif Chan The "martial arts master" is not perfect, no flaws. Kif Chan is the beginning of the study 1000 patients (in poker technique, the 1000's art technique is difficult), and later transfer magic, Kif Chan the Magic close relationship with thousands of patients has two differences combine to create the technology Many super-magic.